THE SAMSUNG GALAXY S9, launched earlier this year, is packed with features that will transform what you thought a phone could do. 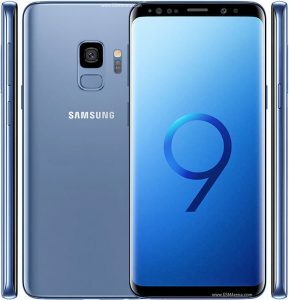 Win this state of the art Samsung Galaxy S9 device. It’s powerful specs, breath-taking AMOLED, Infinity Display and magnificent dual aperture camera, are just some of the reasons you’ll want to get your hands on it. If a great camera is a must, then this is a must-have phone. It’s the camera, reimagined. You can capture stunning pictures in bright daylight and super low light. It adapts to environments as effortlessly as the human eye. You’ll also appreciate the camera if you want to be a video-making whizz. You can now record a video at 60fps 9Frames Per Second) at Full HD and 4K resolutions. Want to be an AR Emoji? No problem. You can create an Augmented Reality version of yourself by taking a selfie. You then come to life on the phone as an emoji sticker or video. COMPETITION: Win this exclusive Samsung Galaxy S9 device worth R15 999 courtesy of Samsung and Sowetolife Mag Online. To enter, read the above Samsung Galaxy S9 description for the winning answer. Send your answers, name and contacts to info@sowetolifemag.co.za or sydney@sowetolifemag.co.za on or before October 01 2018. The winner will be notified telephonically. Goodluck! Ts and Cs do Apply.